We offered to host the ceremony in our back shed but the Australian Event Awards politely declined, citing several OHS issues. The only thing The Nibbler’s editor has scored recently is a whopping parking fine after forgetting where he left his car for six days. After seven-and-a-half years as the boss of Melbourne Convention Bureau, Karen Bolinger has called it quits. 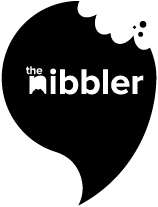 Meanwhile, The Nibbler is rewarding staff by providing extended coffee breaks, but only if we commit to completing hourly coffee runs for our editor. This one is a game-changer, folks. More game-changing than when The Nibbler staff discovered the kebab shop down the road has a happy hour. en iQ has been announced as the official hydration partner of the Fairfax Sports Events portfolio. Yes, that’s a thing.